The CWS quarterly meeting kicked off on Tuesday, October 9th with fresh donuts and a friendly game of music trivia. With our minds and bodies warm, it was time to take a look at the financial review of quarter three. Here at CWS, we find it important that all employees understand the financial goings-on in the company. This helps to promote transparency and teamwork throughout each department. Once the quarter's finances were evaluated, we reviewed how our sales and marketing goals faired. It's essential for a business - no matter the size - to look back at goals made to see if efforts had exceeded, fallen short of, or met the criteria. 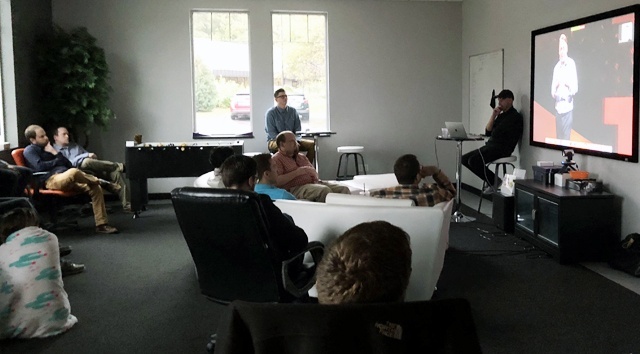 We like to do this at every Alignment Meeting to decide as a team what went right or wrong, and to brainstorm new objectives for the upcoming weeks. Another segment of the Alignment Meeting includes an educational activity or video. 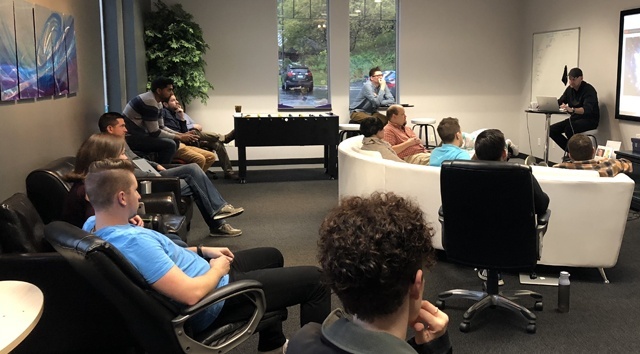 This quarter, the team watched a Ted Talk delivered by Martin Reeves on taking counsel from our own immune systems to create corporate resiliency. Lastly, Q3 2018 award winners were announced. Patrick McNally and Sunny Prabhakar received the Team Award for being an outstanding account strategist duo. Joe Milbach received the Highway 75 Award for logging the most billable hours and working in overdrive for our clients. 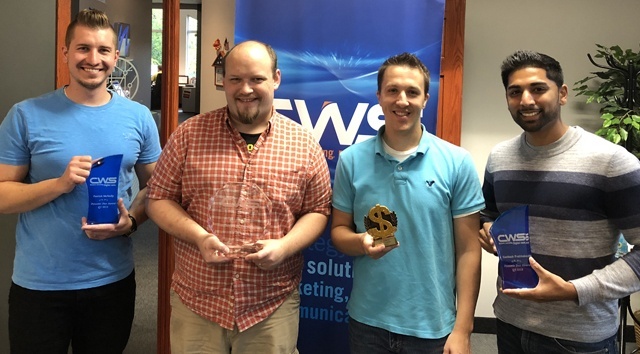 And, last but far from least, Neil Bittner received the Employee of the Quarter Award for being an excellent programmer for our clients and a remarkable teammate to everyone at CWS. 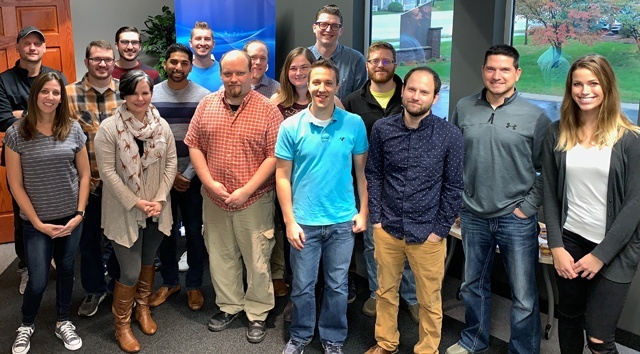 With another groundbreaking quarter in the books, it's time for the team to dive into an exciting Q4!